Tiffany Bozic - Art in Embassies from Joshua Liner Gallery on Vimeo. One of Tiffany Bozic's works was chosen to be featured in the Art in Embassies program at The Swaziland UN Embassy. BLOUIN ARTINFO previews Delineation. 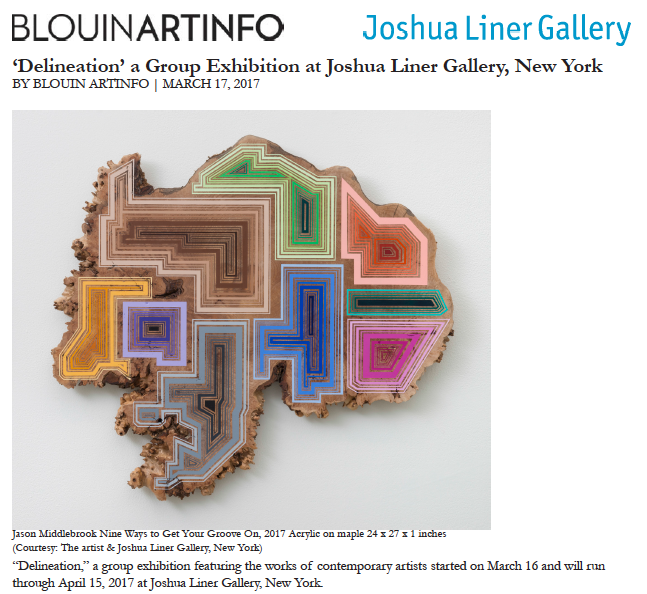 Joshua Liner Gallery's latest exhibition including Johnny Abrahams, Samantha Bittman, Elise Ferguson, Jason Middlebrook.